BombBomb has developed a platform that makes it easy to create simple personal videos to email, text, or post on social media. Following up on leads is greatly enhanced with video. BombBomb has been deployed by sales teams in 32 countries on 6 continents. BombBomb makes it easy to communicate through simple personal videos. Quickly create video email, texts, or posts on social media. Full featured analytics let you track your opens and leads. 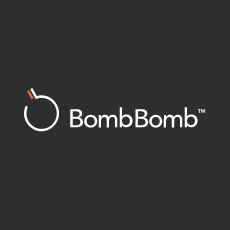 Use BombBomb straight from the tools you're using daily, inlcuding Gmail and Salesforce.